Create an executive steering committee. Bring a multi-disciplinary team to the table to focus on the utilization, throughput, and labor usage across the organization. This breaks down silos across the ED, OR, and inpatient settings. It also positions a health system to optimize its capacity and workforce through decisions made at the highest levels. Teams begin more effectively working together once goals are understood across multiple disciplines. Define policies that enable functional leaders to drive improvement. In many environments, a perioperative director can’t find an avenue to recommend and implement block changes due to lack of a formal block policy. A patient flow director can’t influence changes across the ED and inpatient units due to lack a of discharge or surge policies. 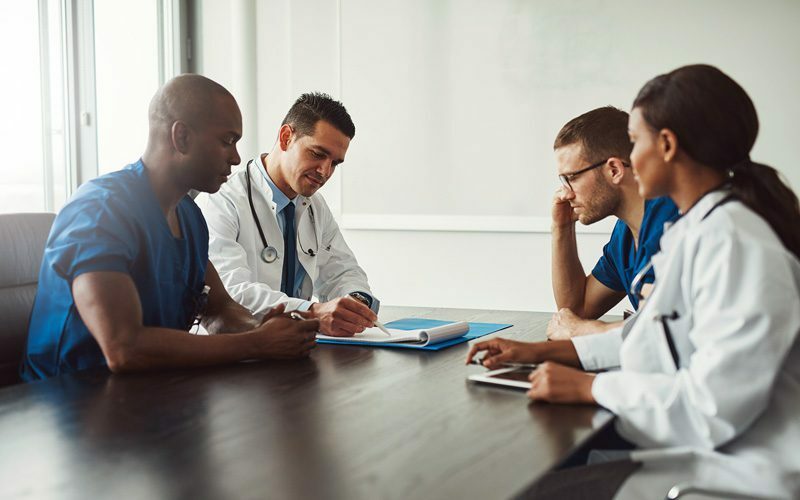 By establishing formal policies, you’ll be able to remove ambiguity and allow leaders to manage better which will ultimately improve the way a hospital operates as a whole. Create a source of truth to drive data-driven decision making. It’s hard to govern people or processes without a framework of standardized measurement. Unfortunately, many people struggle with having a source of data that can be fully trusted by all key stakeholders. Data is siloed within various pieces of technology including the EHR, EDIS, ORIS, case management, and bed management systems. Try adopting a piece of technology that can easily aggregate all of this data into a single-source, fully-transparent framework to measure the organization, set and monitor goals, test future decisions, and predict future performance using machine learning technology. At Hospital IQ, we not only offer the ability to measure and monitor operational performance utilizing machine learning and optimization algorithms but also proactively recommend actions such as the ones noted above to further enhance our customers’ outcomes. The structure and practices above have allowed many of our customers to adopt powerful analytics that enhance and accelerate their daily and strategic decisions necessary to improve their operations. This combination has improved utilization of OR’s, decreased inpatient length of stay, and allowed customers to align their staffing to actual patient demand.